Canadian ski resorts sometimes don’t get the love they deserve. Sure, everyone knows about Whistler Blackcomb, but what about the many other resorts that also make up the beautiful landscape of British Columbia? Even apart from British Columbia, there are a number of excellent ski resort options for you to explore. Ski resorts are also in Alberta, Ontario, and Quebec. 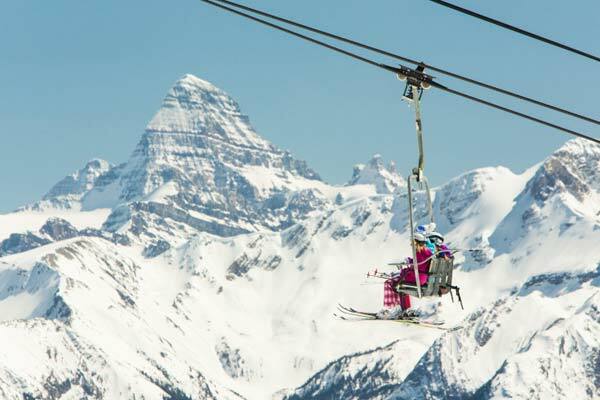 The ski resorts in the Banff region of Alberta are considered some of the best in the country. Essentially, there are fantastic slopes all across the nation. In the following, we’ll break down some of our favorites, province by province. British Columbia is a hotbed for ski resorts. 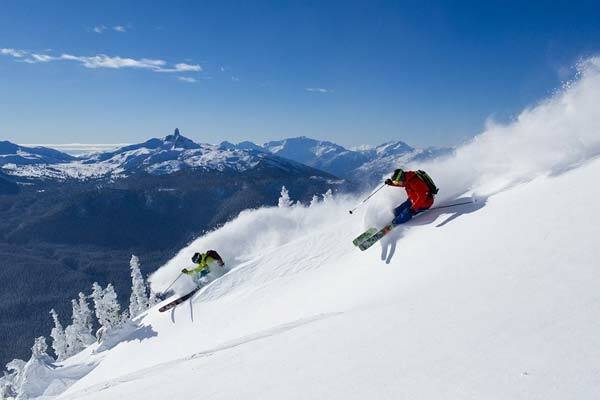 You definitely know Whistler, so we’ve focused on some other ski resort areas in the province. 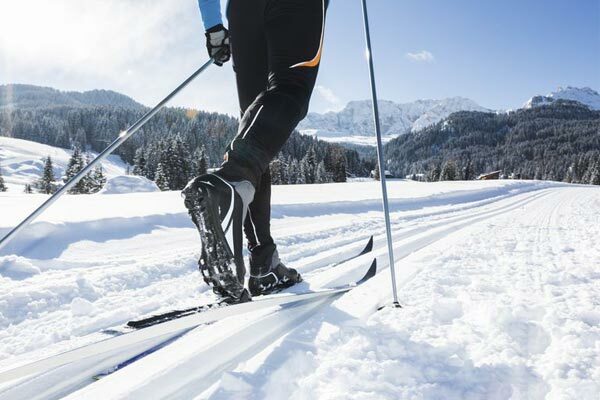 There’s plenty to offer for winter sports enthusiasts of all levels. This is one of the most convenient ski resorts around. At Big White, most of the hotels and resorts are ski-in and ski-out. Big White’s main street is a ski run and can be used to get back to your hotel. These slopes are geared at intermediates. There is typically a nice amount of fantastic powder. Apart from Big White’s slopes, you can check out Happy Valley. Happy Valley is located at the bottom and offers wintertime activities like snowmobiling, tubing, and ice skating. You can easily get back and forth from your accommodation using the gondola. Sun Peaks is the recommended spot for beginners. Most of the accommodations in the area are also ski-in and ski-out. The village has its own quirky style and has an almost European feel to it. Sun Peaks consists of three mountains. There are 135 runs in total. The main event is Mount Tod, while Mount Morrisey and Sundance offer plenty of slopes on their own. After a recent expansion in 2014, Sun Peaks is now the second largest ski resort in Canada. Sun Peaks offers plenty of green runs to practice on. There’s the 5 mile run on Mount Tod which is quite excellent. Sun Peaks has been called by Telegraph a quieter alternative to Whistler. That’s not to say there’s not anything available for the intermediate skier. Sun Peaks also offers black and blue runs that carry some difficulty. Best known for the Selkirk powder, Revelstoke has long made a name for itself as one of Canada’s best ski areas. It is considered the world’s capital for helicopter skiing. People have been coming from around the world for over thirty years to experience some of the best powder in the world. Helicopters drop skiers on some truly untamed terrain. These areas definitely can’t be accessed by a regular ski lift. Unfortunately, Revelstoke is not for those skiing on a budget. There are also some fantastic ski runs on Mount MacKenzie. It is the longest vertical drop in North America that can be accessed by lift. It is 1,829 meters long. This ski area is recommended for intermediates and experts. This is a place to be if you can ski with skill. Not to mention, there are a few decent restaurants and bars in the small town. One of the few drawbacks is its location. It is one of the more remote ski areas in Canada. The closest commercial airport is in Kelowna, which is a two-and-a-half-hour drive away. Alberta’s ski resorts easily rival those of British Columbia. The best resorts in the country can be found in these two provinces. While there are some options in Ontario and Quebec, the West is where it’s really at. Alberta is situated just east of British Columbia and offers ski areas around Calgary and the Alberta-BC border. Fernie is a favorite for those living in Calgary. The skiing is some of the most adventurous that Canada has to offer. Unlike ski resorts in Europe, Fernie has plenty of wooded slopes to glide down. It’s also an excellent spot for beginners to learn. People come to Fernie to ski and snowboard. There is little else going on in the town apart from a few restaurants and hotels. If you’re looking for a quiet place to get your ski on, then Fernie is your spot. It is also best for skilled intermediate to expert skiers. The steepness of some of Fernie’s runs can be intimidating. Banff is a fantastic mountain town that’s been around for a while. There are over a hundred bars and restaurants as well as souvenir stores dotting the village. Banff also offers free transportation to each of its three ski areas. This area is one of the most beautiful regions in Canada. Mount Norquay is located about eight kilometers away from Banff and is the closest ski area. Next is Banff Sunshine, which is a little over twice the distance it is to Mount Norquay. The farthest and largest ski area is Lake Louise. Lake Louise is definitely a longer trek from Banff. It is about 65 kilometers away. Each of the three areas offers something different. Most people stay at Banff and then make the trek themselves to one of the ski areas. Banff offers so much as a town that it’s hard to skip. You might feel like rushing straight to Lake Louise, but Mount Norquay and Banff Sunshine can be equally as enjoyable. Mount Norquay is known for having a mix of beginners to advanced runs, while Banff Sunshine some very high trails and excellent powder. It is right on the border between Alberta and British Columbia. You may not even notice yourself crossing over at points. Lake Louise has 145 runs spread across 4,200 acres. Its size definitely rivals Whistler. What’s great is that beginners can take just about every lift at Lake Louise. The views are also some of the best in Canada. You can view Mounts Allen, Fay, Babel and Bowlen across the Bow Valley. Here is a fantastic video displaying some of those phenomenal views. Nakiska is in the Kananaskis region of Alberta. It is a smaller ski area when compared with some of the other giants listed above. There are 64 runs being serviced by four ski lifts. Nakiska was developed in response to the 1988 Winter Olympic Games, which were held in Canada. It is also the training center of Alpine Canada. Alpine teams come from all over to train here. The ski area also saw further renovations in preparation for the 2010 Vancouver Olympic Games. To this day, you can still see the Olympic Flame burning at the resort’s entrance. Even though it has just six lifts, the Olympic legacy of Nakiska lives on. Skiing down one of its run is like skiing down a piece of history. 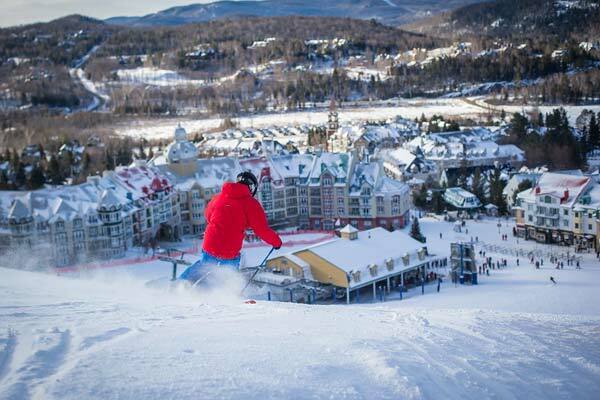 While Quebec doesn’t offer the same number of ski options as Alberta or British Columbia, Mont Tremblant is an excellent ski area. If you’re visiting the province and don’t have the time to go farther West, you can still engage in some challenging runs on Mont Tremblant. Mount Tremblant just screams old Quebec. 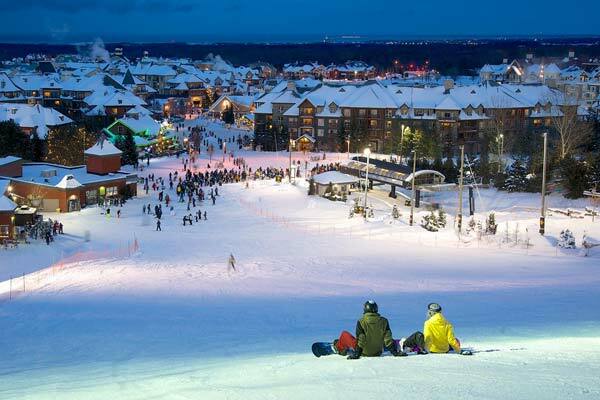 It is considered the best ski resort in Eastern Canada. Unfortunately, Eastern Canada just plain doesn’t get the same snowfall that the West does. To make up for this, snowmakers ensure that Mount Tremblant’s trails are covered. The scenery is also beautiful. Since it is Eastern Canada’s most popular resort, it can be quite crowded at times. However, there are trails available for skiers of all skill levels. It can also get very cold here by Canadian winter standards, so be warned. Mont Tremblant is only around 130 kilometers from Montreal. It is an easy day trip to make for city dwellers and visitors. It even looks like a mini Old Montreal. According to Forbes, after Sun Valley in Idaho, it is the second oldest ski area in North America. While Ontario isn’t known for its skiing, there are still some choices available to you. The Blue Mountains is a quaint town in Southwestern Ontario that offers trails on numerous mountains. This is definitely the best Ontario has around. The skiing is great and offers enough for beginners and intermediates. It does not reach the same verticality as some of Canada’s other ski resorts, but it definitely does the job. It is the largest resort in the Toronto area. So if you’re visiting the city and have a need for some powder, definitely check out the Blue Mountains. It is about a two-hour drive away. The mountain has three ski areas. The mountain does offer black runs, but they do not compare to the double blacks of Western Canada’s ski areas. These are just some of Canada’s top ski resorts. There are others to choose from, but we feel these are the best ones. Each resort has something a little different to offer. Whether it be the Olympic legacy of Nakiskas, the views of Lake Louise or the convenient location of Mount Tremblant, skiing in Canada is something that everyone can do and truly enjoy. There is plenty of variety for skiers of any level to enjoy and plenty of family fun for those tagging along. 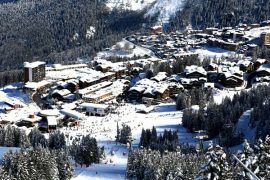 What Are the Best Ski Resorts in Italy?